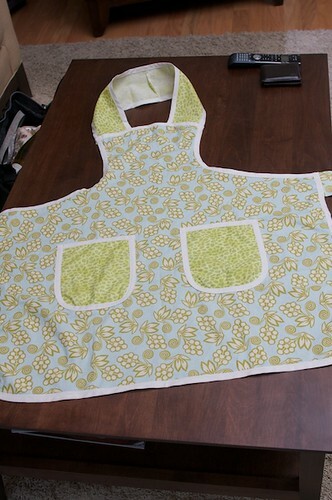 It’s my first Blog-iversary (Free Apron Pattern!) « think liz. And for the occasion, I have another free pattern to add to the list! 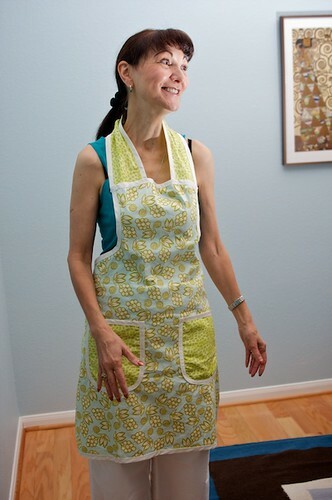 The Marie Apron! There is a lot of bias tape in this one, so you might find this tutorial helpful if you have never used bias tape before. Feel free to give me feedback to improve the instructions or the pattern – I’d love to know what everyone thinks! Also, I hate to be repetitive, but please do not sell items made from this free pattern and do not claim it as your own design! Feel free to link back to this post if you’d like to spread the word though. Also, if you make this pattern, I’d love to see the final results! Please add photos of the final product to the flickr group here! This entry was written by Elizabeth, posted on May 20, 2009 at 8:00 am, filed under Clothes, Free Pattern, Sewing and tagged Crafts, free, free sewing pattern, Sewing. Bookmark the permalink. Follow any comments here with the RSS feed for this post. Post a comment or leave a trackback: Trackback URL. Beth! I was just looking at Jason’s 365 album and saw this picture of your mom. I told Jonny how much I loved that apron and was going to ask you where to get the pattern. And then, I come to your blog and you posted the pattern! I’m so going to make this sometime this summer! 🙂 Although I have never used bias tape… so I’m going to have to use the tutorial. Thanks for the pattern. The apron looks great! Happy blogiversary! Thank you so much for your patterns you are indeed a sweetheart. Oooh, I like this a lot. I’ll have to learn how to use bias tape! I like the fabrics you used. Thank you! I’m glad I finally found a use for that one yard of fabric that I impulse bought when we responded to that craigslist ad. . . 🙂 I’m trying really hard to use up the fabric in my stash because it’s taking up too much space and spilling all over my floor! I like-y that apron a lot. Thanks for sharing. It will go live around 3:00 pm CST today. Great vintage styling! This one’s a keeper. Thanks so much for posting this! I’m a beginner and this is the perfect first project for me. This is a complete newbie question…what kind of/weight of fabric would be best for making this? 100% cotton would be best! Good luck!